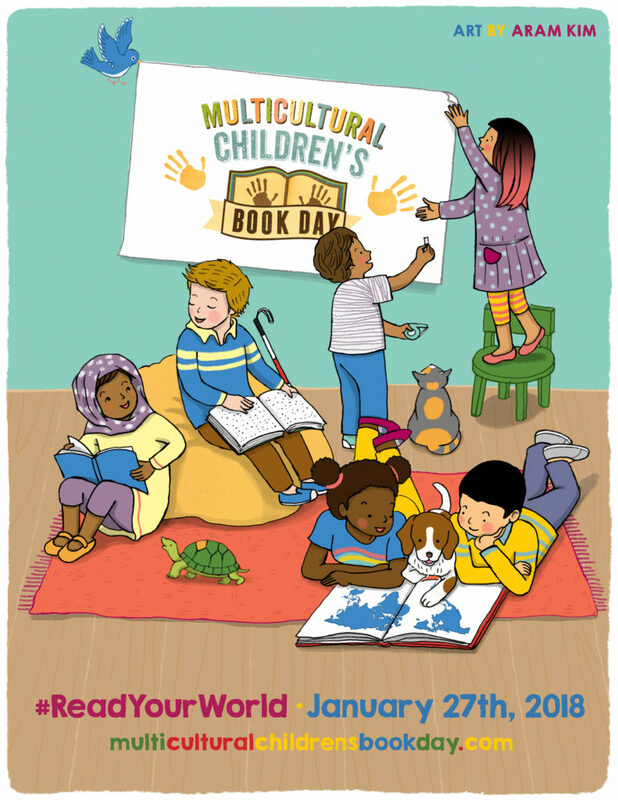 This Saturday, January 27, 2018, is Multicultural Children’s Book Day. Be sure to check out all the fabulous sponsors and activities surrounding the event in the links below the “I am a Multicultural Children’s Book Day Blogger” button. The celebration is designed to highlight multicultural children’s books. Today we have a bilingual personalized book for children from TimTimTom Books. The title I received is an underwater adventure called Leah and the Dolphin, with “Leah” being any child’s name you choose. The story is by Saskia Reusens and illustrated by ‎ Katrien Van Schuylenbergh. When families speak two languages or are trying to learn two languages, it can be hard to find appropriate picture books to read. 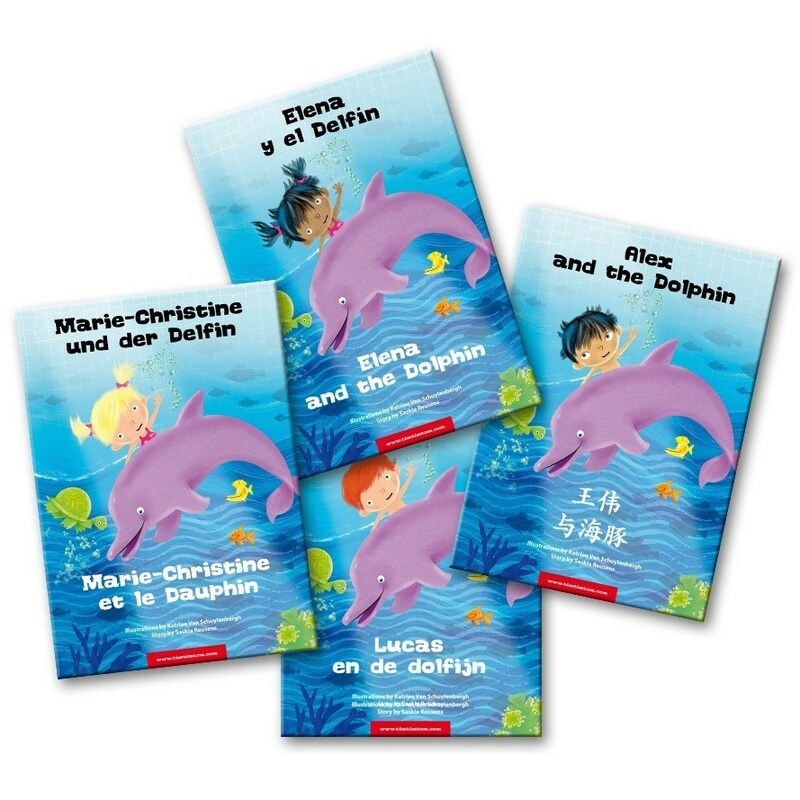 These books fill that gap because they are available in any two of nine different languages: Dutch, English, French, German, Italian, Portuguese, Russian, Spanish and Chinese (Simplified or Traditional). You can also personalize the gender, appearance/skin tone, and write your own dedication message. I chose English and Traditional Chinese for the book our family received. The story is about the main character’s adventure underwater. When she goes to the big pool all by herself for the first time, the main character doesn’t know what to expect. What she finds in the water will delight imaginative youngsters. The illustrations are bright, with lots of fun things to discover in each spread. The personalized main character is featured prominently, which will make the child feel like he or she is right in the middle of the action. There is a lot to like about these books. They are bound with a sturdy hardcover, so will likely last for years. We were pleased to see the stories are not merely translations, but are retold to sound authentic in both languages. They also begin with a letter to the child, engaging them from the start. Because each book is personalized and must be printed on demand, the customer support is critical. Based on my experience, the process of picking out details I wanted for the book was easy and straightforward, and the customer service from TimTimTom books was outstanding. If you are looking for a special bilingual book to share with a child, TimTimTom Books are the way to go. They would make excellent gifts for any special occasion. Want to learn more about marine animals? Check out a related STEM post at Growing with Science. I love discovering new Spanish language books! That this one is personalized makes it even better. It sounds like the perfect baby gift for bilingual friends. Thank you so much for sharing.